Path to Purchase Institute, August 14, 2017. Written by April Miller. CVS and WSL executives will dissect the opportunities that abound going forward. NOTE: This article is published in the September 2017 issue of Shopper Marketing. After the issue went to press, Norman de Greve was replaced as the CVS Health executive scheduled to speak during the keynote. The new speaker is Brett Gerstenblatt, VP, executive creative director. De Greve, along with Wendy Liebmann, founder, CEO and chief shopper at WSL Strategic Retail, will share how digital has – and will continue to – bring value and opportunities to shoppers, brands and retailers during their Path to Purchase Expo keynote presentation. “There’s a tendency to say that digital has destroyed traditional retail, but when you look at it through the shopper lens, it is hugely valuable,” says Liebmann. 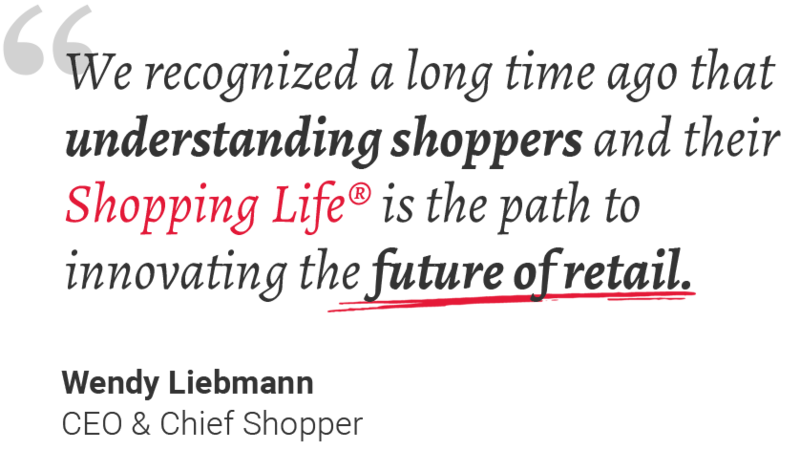 Digital tools have been able to address many shopper pain points: long lines in stores, the complexity of how to make a decision about a product at the shelf, the need to make a quick trip, or finding answers when a sales associate isn’t to be found, Liebmann adds. And for brands and retailers, explains de Greve, digital creates opportunities to become “partners” with consumers. He notes that CVS connects with 40 million people via mobile devices (through its app, mobile web browsers and text messaging). Consumers who use the CVS/pharmacy mobile app can easily refill prescriptions, leverage the retailer’s ExtraCare loyalty program, print photos from their phone/Facebook page and more. The retailer has also rolled out curbside pickup and same-day delivery in select areas with plans to expand to other locations. Shoppers can take advantage of both through the CVS app or while shopping online. The study examined shoppers’ use of digital tools such as click-and-collect, subscription services, pre-shopping, online circulars, self-checkout and online shopping. Findings showed that on average, 25% of shoppers who used the digital services WSL studied added more to their baskets. Specifically, one-third of consumers using click-and-collect and digital coupons reported they buy more; 39% of subscription service users buy more; and 40% of people using curbside pickup also visit the physical store during the same trip. And the industry is really only at the beginning of shopper adoption of some of these tools. According to the WSL study, while only 15% currently use click-and-collect and only 12% are shopping via subscription services, usage is expected to double in the near future. Both Liebmann and de Greve believe this is a conversation that goes beyond shopper marketing. They encourage sales teams, customer teams and especially brand marketers to be part of this discussion.